I have always felt grateful for the profound impact of yoga on my own life, but the area which has deepened my respect for yoga immensely is seeing its curative and uplifting power on remedial students. This work is highly personalised to the immediate needs of the student; consequently the subject cannot be addressed in depth in books as it varies from student to student and often from week to week depending on their condition. Decades of teaching experience and training are necessary to work in this area and as such there are limited teachers who are actually qualified and insured to do this work. 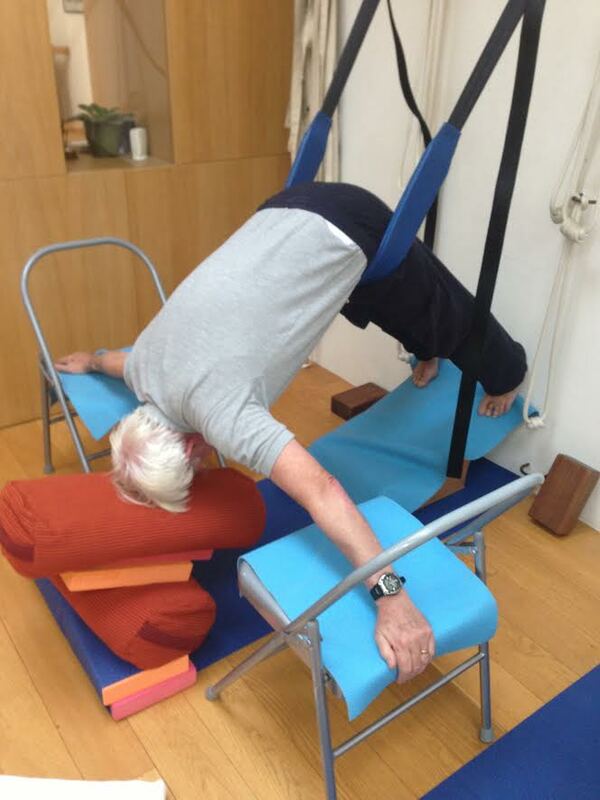 I have been studying remedial yoga for over 10 years, assisting in the Medical classes in Pune, India with the Iyengar family and their senior teachers. This is an inspirational place where yoga is clearly making a difference in peoples lives. One case which moved me was a student I spoke to who had been given 6 months to live after her cancer diagnosis; when I met her it was her 5th year there. On my last visit to the Pune medical class I focussed on working with students with Parkinson’s disease in various stages. This experience hugely enriched the continuing work I do in London.